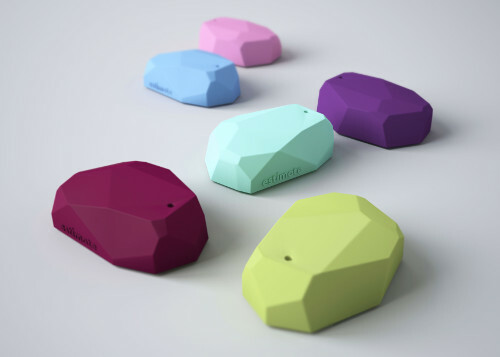 Range Estimote Beacons. This app demonstrates how to scan for Estimote Beacons using ranging. Run this example in Evothings Viewer, or build a Cordova app with the plugin phonegap-estimotebeacons. iOS 7 or later, or an Android device with support for Bluetooth 4.0 and Android 4.3 or higher, is required. This example works with Estimote Beacons. Visit estimote.com for further details. An iOS device (iOS 7 or 8) or an Android device with support for Bluetooth 4.0 (which includes BLE) is required. For Android version 4.3 or later is needed. Have at least one Estimote Beacon nearby. 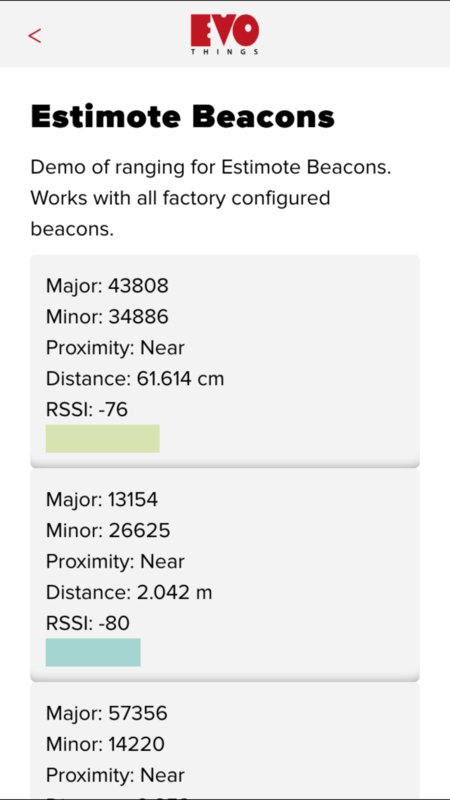 Launch the example "Estimote Beacons" from the Workbench window by pressing "Run". If everything works, the app should automatically detect your Estimote Beacons.